Category: Blankets and Throws. 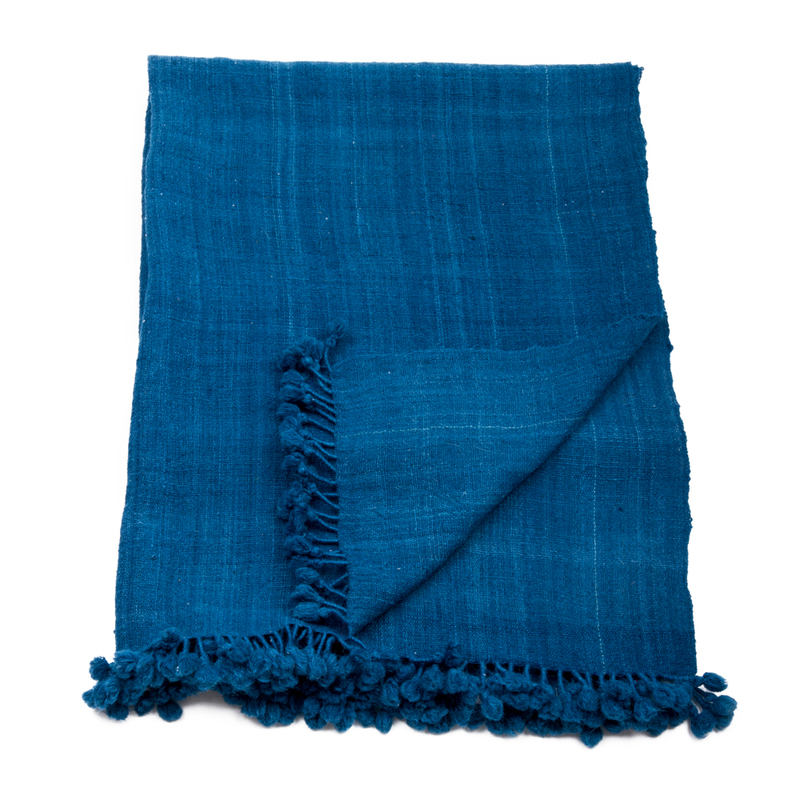 Tags: hand woven, handcrafted, India, rustic, sea blue, traditional handicraft, wool throw. 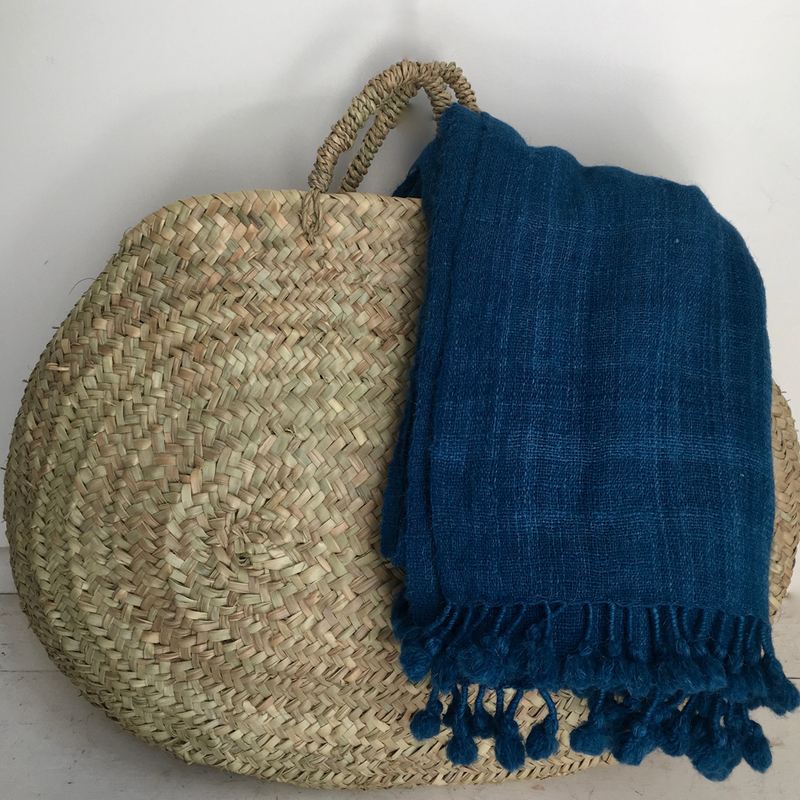 A summery lightweight hand woven wool throw in a mix of sea blues. Handcrafted by artisans in Gujurat from a traditional wool, known as Desi, with a hardy texture giving the throw a rustic feel. The wool is hand spun creating irregular ripple like effects in the colour reminiscent of the sea. It’s beautifully finished with tassels. This throw is perfect over a chair, sofa, or as a picnic blanket. It looks good with our clamp dyed cushions too. Washing: Hand wash in cold water.